Jon Spencer and his Blues Explosion is around for over 20 years by now. I remember listening to some of its albums, but they were not for me. After that I just didn't bother or this is the band's first album in years. Lo and behold, either in 2015 my musical taste has changed considerably, yes it has somewhat. There's no denying there or the Jon Spencer Blues Explosion shifted towards my taste some more. It has. In other words: We have a match. Freedom tower is funky, it rocks out in an alternative way and there is some hiphop in the rhythms that blends superbly with the rock side of the band and beneath it all there is the elements of electric blues and 60s garagerock. Earth & Fire made a song about this sort of music in 1970. The music on Freedom tower certainly is 'Wild and exciting'. "Come on, fellas. We've gotta pay some respect" And a killer riff is let loose on the unsuspecting world and starts off a "New wave dance party 2015". Garage rock meets hip hop rhythms and singing and a truckload of self-confidence on display. Jon Spencer Blues Explosion is around since 1991 and only has (had) three members: guitarists Jon Spencer and Judah Bauer and drummer Russell Simins. Although the band lay low in the years around 2010, in one year time it can celebrate its silver band anniversary. If I had to pick one word only for this review, it has to be "energy". Energy just bursts from this record. Frontwise, up, down and through the seams, from all angles it just oozes out. Simins pounds away herding the other two like cowboys a herd on the plains of the Midwest. Bauer and Spencer play their guitars like there's no tomorrow. Some Lou Reed and his guitarist of choice, let's say Robert Quine, except more dirty than the late Reed could ever have imagined. And no discriminating the other guitarist. Both play an equal role in driving the song on. Together the band does everything between fired up electric blues and the Beastie Boys, with all this energy in abundance. As such it doesn't make too much sense to pick out different songs. Although I want to pick out the The Rolling Stones sounding guitar sequence in 'Crossroad hop'. Some Richard or Taylor bluesy guitar playing shines through in a small part of the song. A lot of fun. 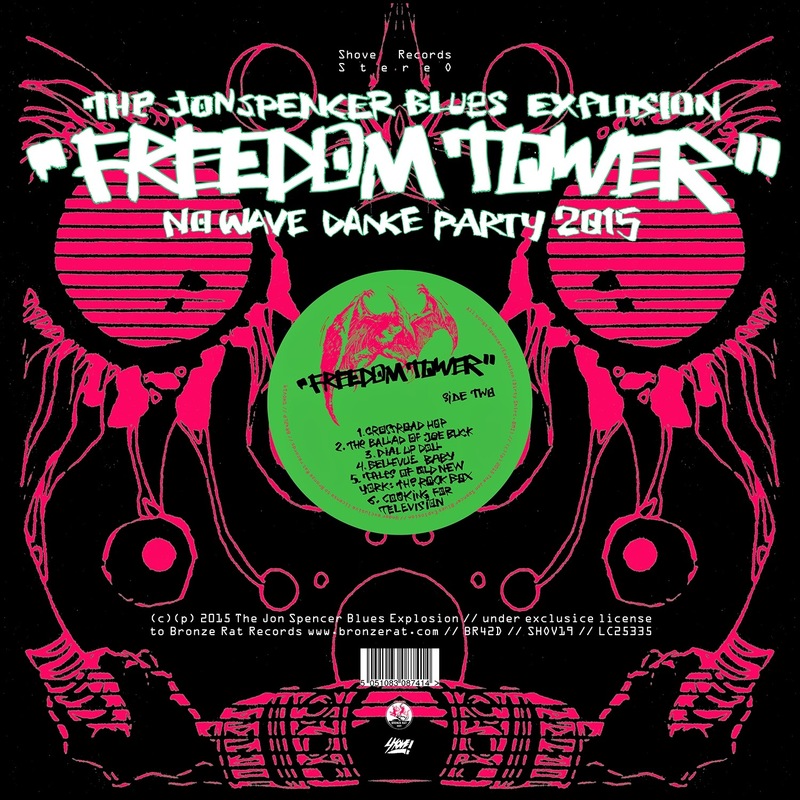 For the rest the Jon Spencer Blues Explosion rocks. One song is better than the other, but rock it does and keeps me smiling through the whole record. And that is something this band has never done before. So there's something to check out as well, as who knows how I favor the band's music in 2015?